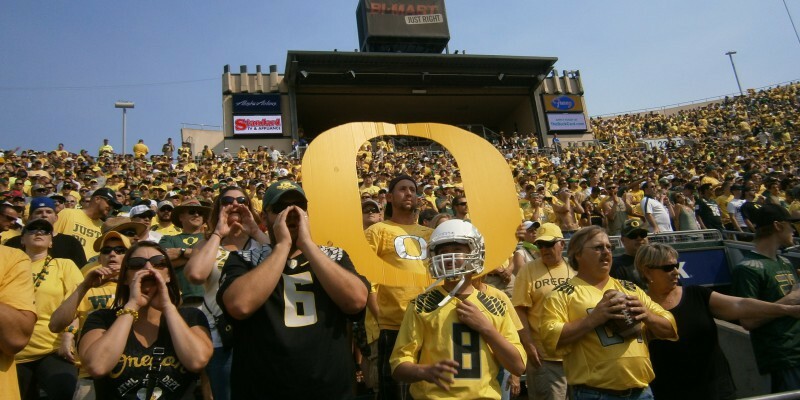 According to the oregon.247sports.com recruiting rankings, Oregon finished 16th overall in this year’s recruiting war. The spot is good for third in the Pac-12, behind No. 2 USC, and No. 7 UCLA. For a full list of rankings, click here. To sum things up, Oregon nailed a very good recruiting class. Based on history, the Ducks usually build a strong recruiting class, but have difficulty competing with the likes of Alabama (the No. 1 ranked class for the 4th straight year) and Florida State. What we do now about the situation is this: nobody is better at developing lower ranked talent than Mark Helfrich and his amazing coaching staff. I have no doubt that he can make this 16th-ranked recruiting class one of the best in the history of Oregon football. Wondering what the recruiting class looks like? 1) Canton Kaumatule (Defensive End), 2) Taj Griffin (Running Back), 3) Alex Ofodile (Wide Receiver), 4) Zach Okun (Offensive Line), 5) Ugo Amadi (Cornerback), 6) Travis Waller (Dual), 7) Malik Lovette (Running Back), 8) Kirk Merritt (Running Back), 9) Brady Aiello (Offensive Line), 10) Shane Lemieux (Offensive Line), 11) Calvin Throckmorton (Offensive Line), 12) Fotu Leiato (Linebacker), 13) Jacob Breeland (Tight End), 14) Jake Hanson (Offensive Line), 15) Gary Baker (Defensive Tackle), 16) Jihree Stewart (Cornerback), 17) Drayton Carlberg (Offensive Line), 18) Rex Manu (Defensive Tackle), 19) Jonah Moi (Linebacker), 20) Dylan Kane (Safety), 21) Gus Cumberlander (Defensive End), and 22) Paris Bostick (Linebacker). Stay tuned to FishDuck.com for all things Ducks.